The Intercontinental Title picture at 'Mania VIII could've been a disaster had The Mountie romped into Indianapolis with the gold. 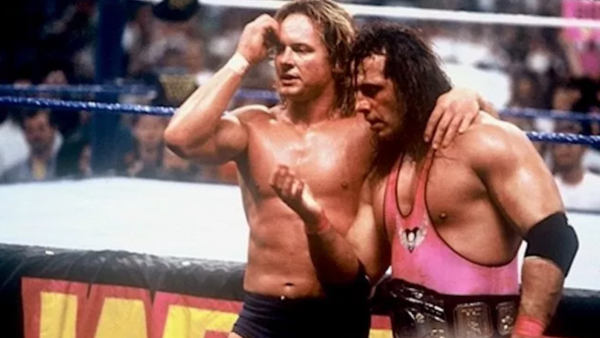 His loss to a fired-up Roddy Piper at the '92 Royal Rumble instead paved the way for Piper to defend against Bret Hart in a workhorse vs. workhorse classic that was all about respect. Bret and Roddy were both babyfaces heading into the match, and that wasn't a tale the WWF enjoyed during that era. 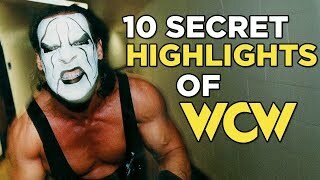 Somehow, despite being part of a card rife with personal issues, they were able to make their match stand out because it was built on mutual admiration and friendship. Friendship that occasionally threatened to turn ugly. Seeing Piper battle with his conscience when he could have bludgeoned Bret with the ring bell, and watching the pair get heated in a pre-match promo was stirring stuff. This, more than anything, showed that Hart was a main event star in the making.